Palo Alto police are asking for the public's help in identifying two suspects who robbed a 7-Eleven store clerk of check deposits containing thousands of dollars in cash from the front seat of her car on Monday morning. According to police, the employee left the store in East Palo Alto to deposit the cash into a bank in Palo Alto. As the employee, described as a woman in her 30s, approached the intersection of Newell Road and Edgewood Drive, another vehicle rear-ended her. After the collision, that car's passenger, who is considered the primary suspect, approached her and apologized. He suggested she take a picture of the damage, according to police. As the woman exited her vehicle, the suspect ripped the phone out of her hand, ran back to the victim's car and grabbed the bag of bank deposits out of the front seat. The suspect then ran back to the vehicle that struck the victim and drove off heading south on Newell Road, police said. A witness who saw the crash and crime called police at 9:42 a.m., but the suspects had already fled the scene. The victim was not injured, but her vehicle suffered minor damage. A preliminary investigation showed the suspects parked and waited outside the convenience store at about 8:50 a.m. The primary suspect briefly entered the store before exiting and waiting with the driver for nearly an hour before watching the employee leave for the bank at 9:40 a.m. The crime happened minutes later, leading investigators to believe the suspects waited for the victim and targeted her, police said. The victim's phone was found in downtown Palo Alto later Monday by another man who police do not believe was involved in the robbery. The primary suspect was described by police as a black man in his 20s who is 5 feet 10, inches tall with short hair and was wearing a loose white T-shirt with a logo on it and khaki pants at the time of the robbery. 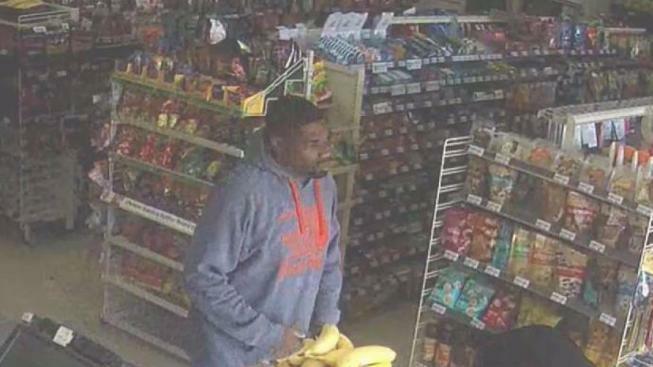 When he entered the store, police said he was wearing a gray-hooded sweatshirt with an orange logo and khaki pants, police said. The second suspect is described as a Pacific Islander man in his 20s who was wearing a black shirt and had brown curly brown hair, police said. The suspect vehicle is described as a newer silver four-door sedan with a yellow paper license plate on the front. Palo Alto police are asking anyone with information with the crime to contact them at (650) 329-2413. Those wishing to give information anonymously can call (650) 383-8984 or email paloaltotip@tipnow.org.